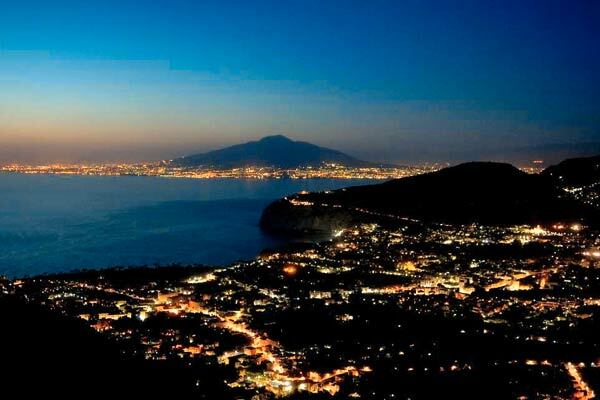 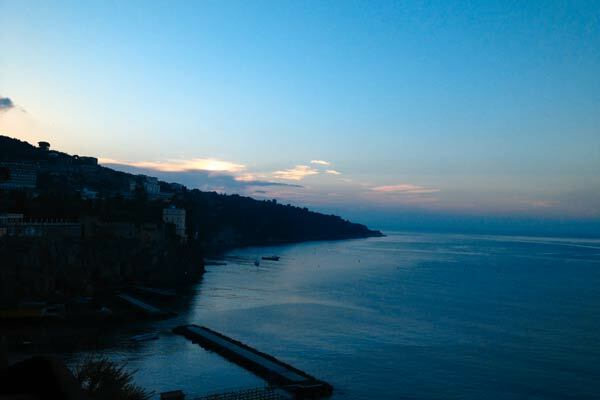 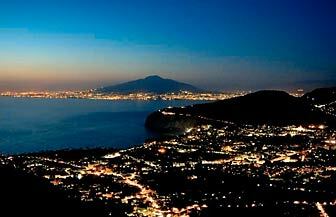 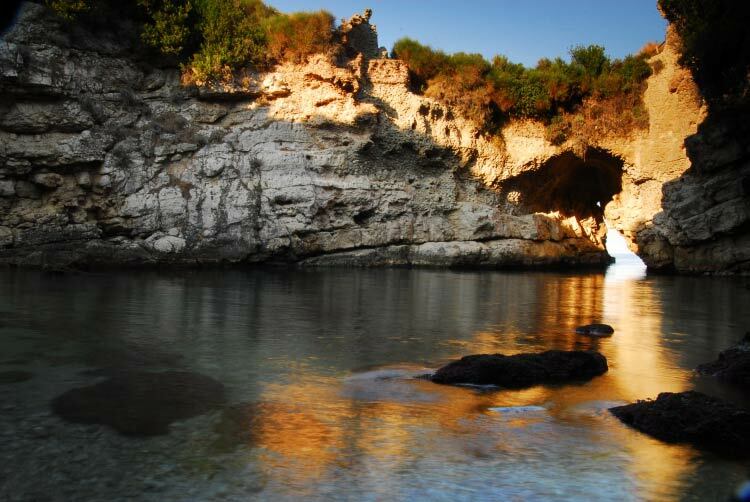 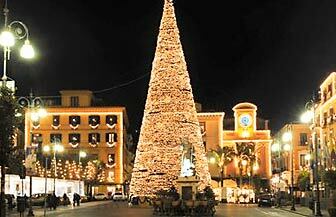 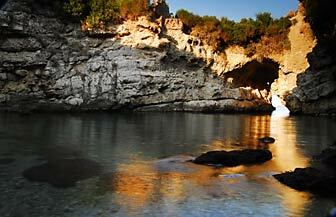 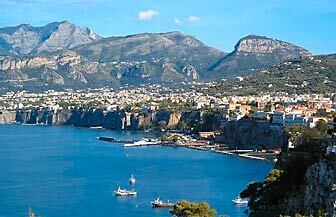 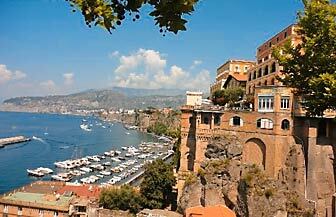 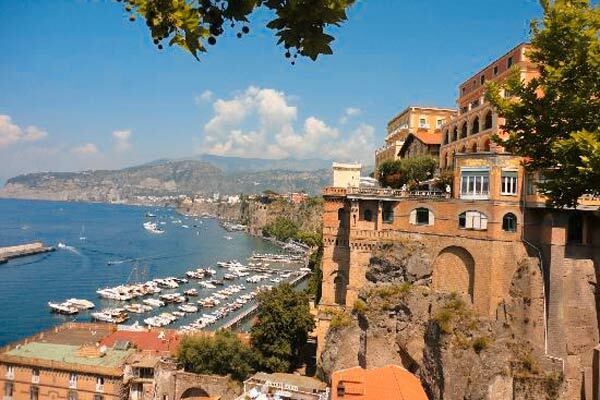 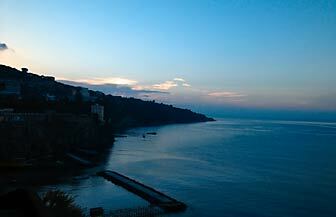 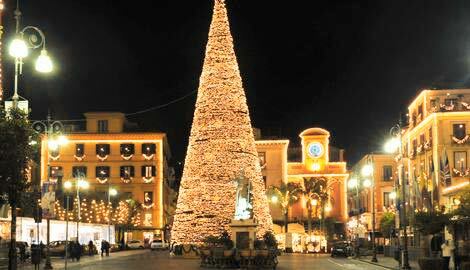 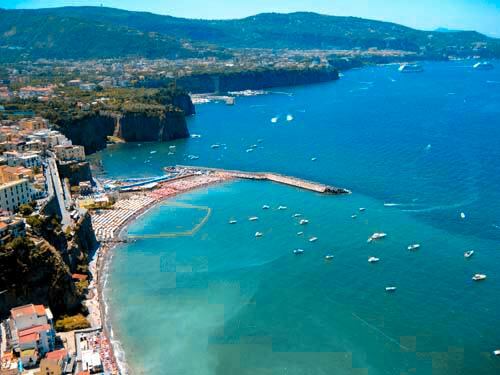 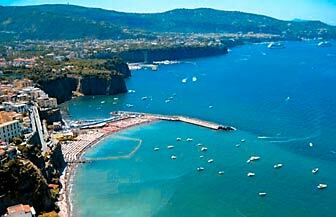 Sitting 50 m. above the sea, Sorrento boasts superb views of the Bay of Naples and the Italian island of Capri. 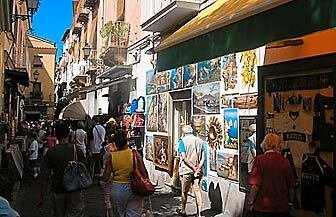 The small streets which wind through the town's historic centre are easily explored in a day. 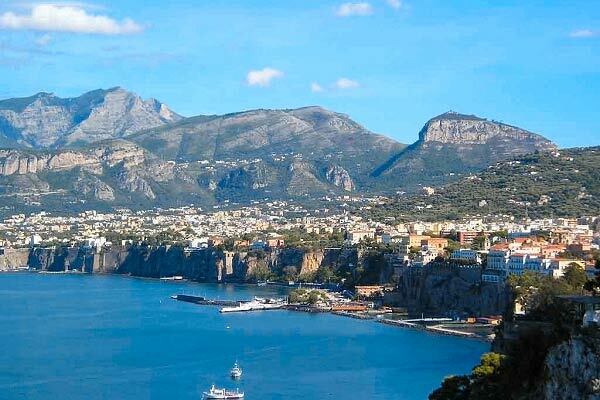 Though Sorrento has become increasingly devoted to tourism, and its more tawdry trinkets, local craftsmen still create beautiful objects with inlaid wood, leather and coral in their side-street workshops. 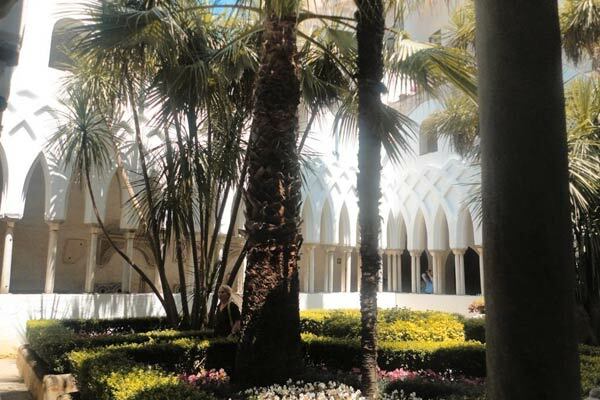 Attached to the baroque church and bell tower, the arched 14th century cloister is filled with palms and tumbling purple bougainvillea. 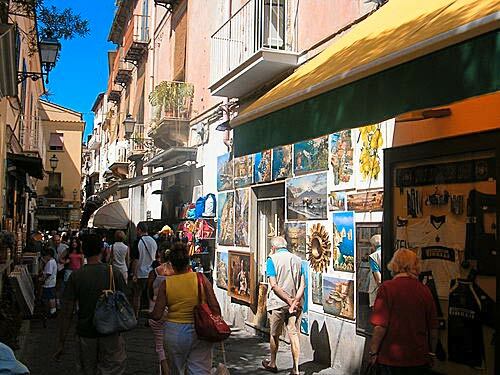 The convent is now an art school and the cloister walls are often used for local art exhibitions.